BUYING! BUYING! BUYING! Over 25 years of buying and selling. We are central PA's largest buyer of toys and collectibles. Before you go to anyone else with your collection, see us! No collection too large. Why sell to us? 3. We travel anywhere, anytime if your collection warrants it. Many of our dealings are not only in PA but in New Jersey, Delaware, Maryland and New York. 4. Many things of which you may not find of value we do! We buy both new and vintage toys, new and opened. 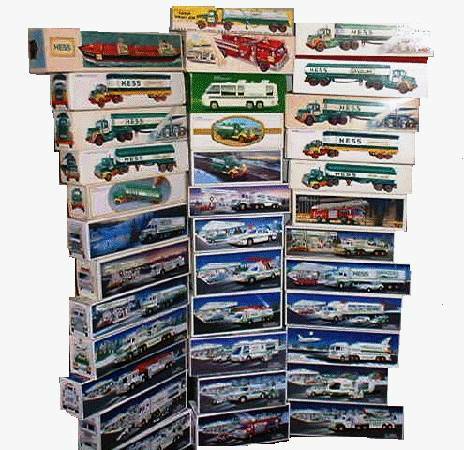 Many things like Hess Trucks, Barbies, Action Figures, Diecast of all sorts like Hot Wheels, Matchbox and others, trains, comic books, sports memorabilia, historical memorabilia, music and movie memorabilia, video games and so much more. We always tell our customers bring what you have as tend to buy so much more we don't mention. We have two locations in Enola and Red Lion so please contact us when you're ready to sell your collection. You won't be disappointed!